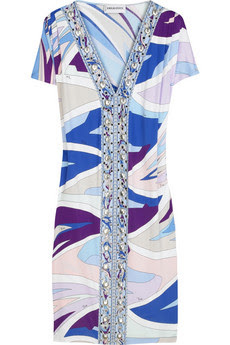 I fell in love with this Pucci Stud-Embellished dress but can't afford it someday I will. From Net-a-Porter about $1,690. I also fell in love with this Marc Jacobs Silk Sequin ruffle skirt for about $1,400.